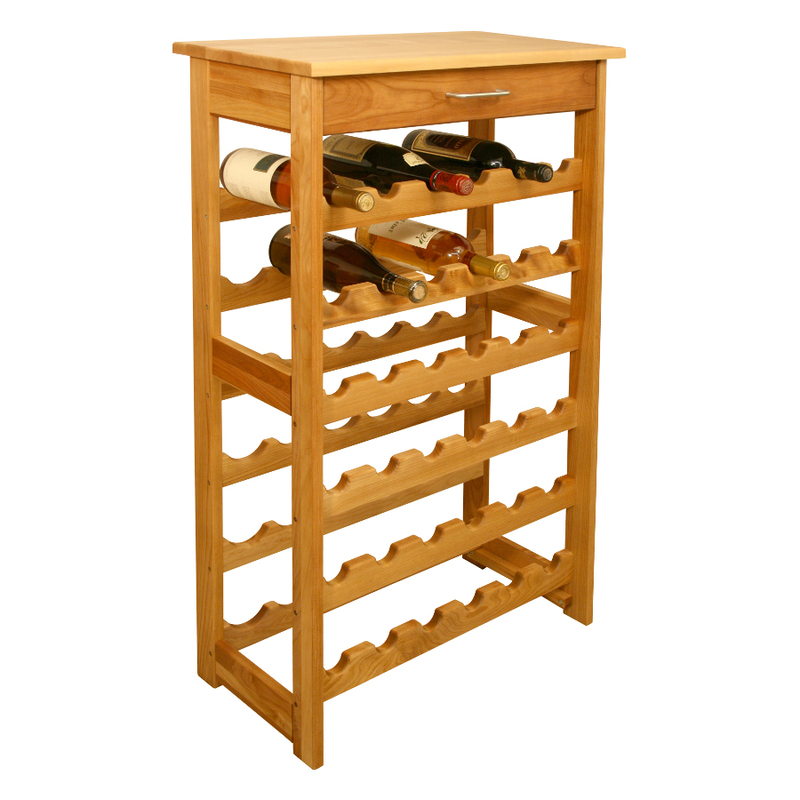 There’s no better way to showcase your wine collection than on this exquisite, solid wood wine rack from Catskill Craftsmen. 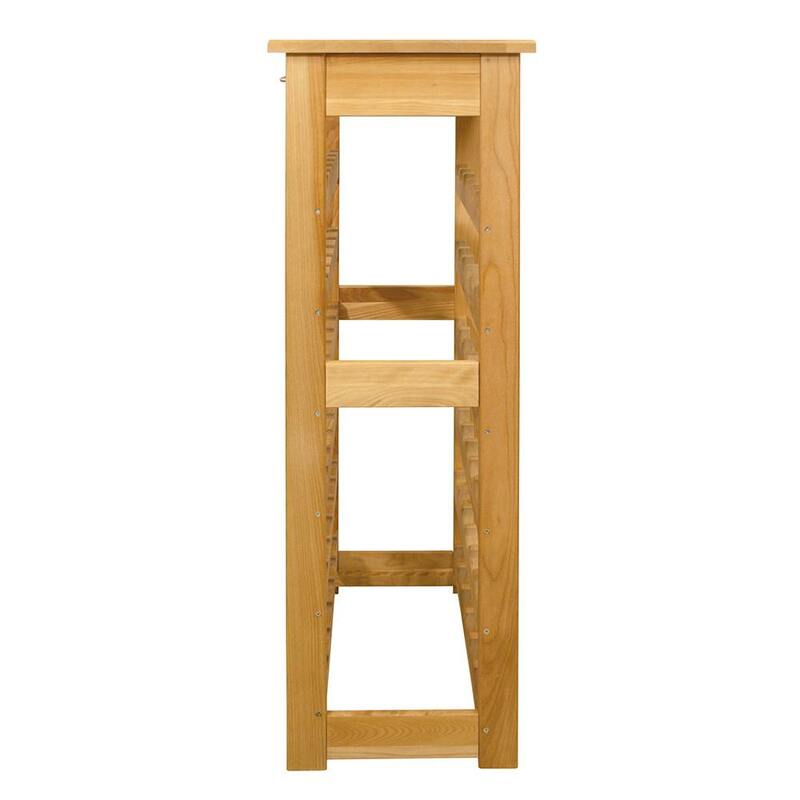 Expertly crafted from the finest hardwood and finished with a lustrous lacquer, it exudes warmth and beauty that allows it to blend into any décor, from traditional to modern. The rack stands 40 inches high, 24 wide and 13 deep. 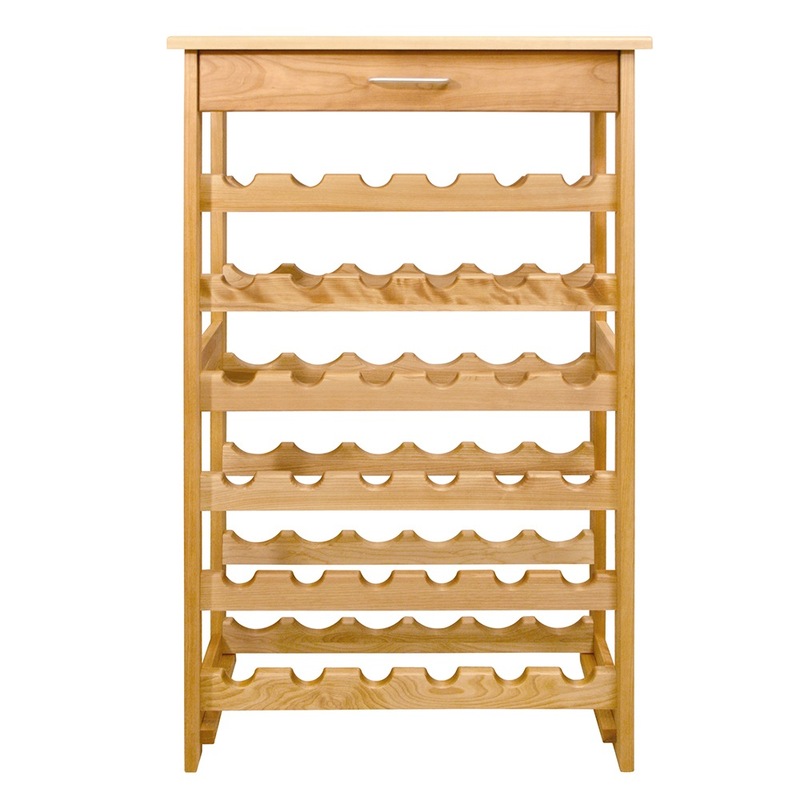 Each of six shelves holds up to six bottles, for a total capacity of 36 standard-size wine bottles. And of course, each bottle is held at an angle that ensures its cork remains moist. 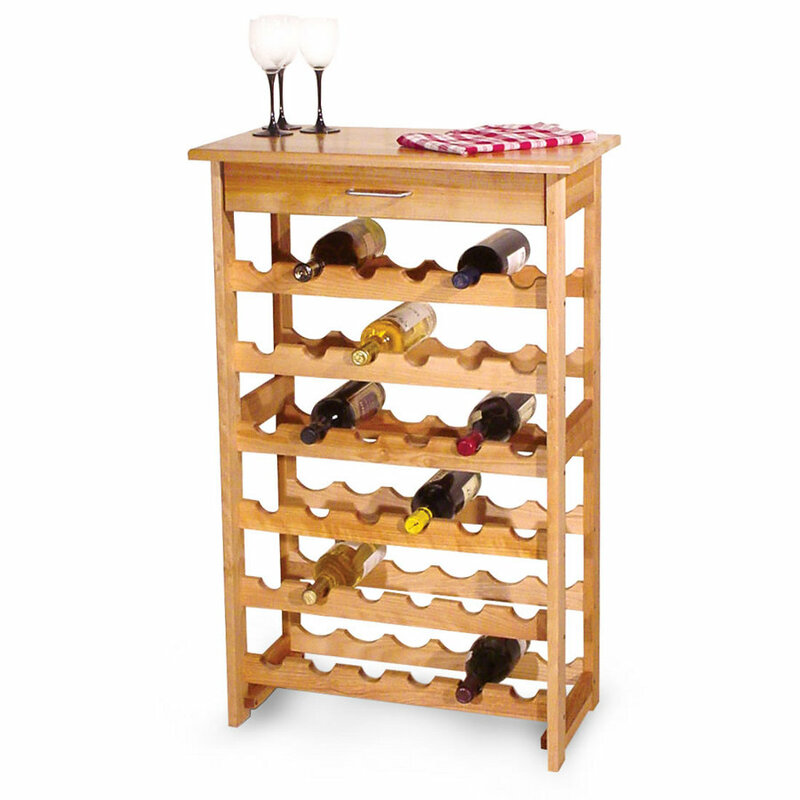 Since this handsome rack for wine bottles is well-built, you can use its top as you would any sturdy tabletop. Place a bottle on it for uncorking, decanting or re-corking. Otherwise, it makes a beautiful surface on which you might choose to display some of your favorite knick knacks, framed pictures, etc.